As a fashion brand I have the greatest respect for Versace (admittedly less-so with Donatella at the helm) – they know how to make gaudy look glamorous and are at their very best when they are being as showy as possible. As a perfume brand Versace is less attractive, again their older stuff is good (I’ll always have a soft spot for Blue Jeans and Versace Woman, and Blonde is pretty awesome) but their newer stuff is very much lacklustre at best. So it was with mixed expectations that I approached the brand’s latest masculine offering ‘Eros’. 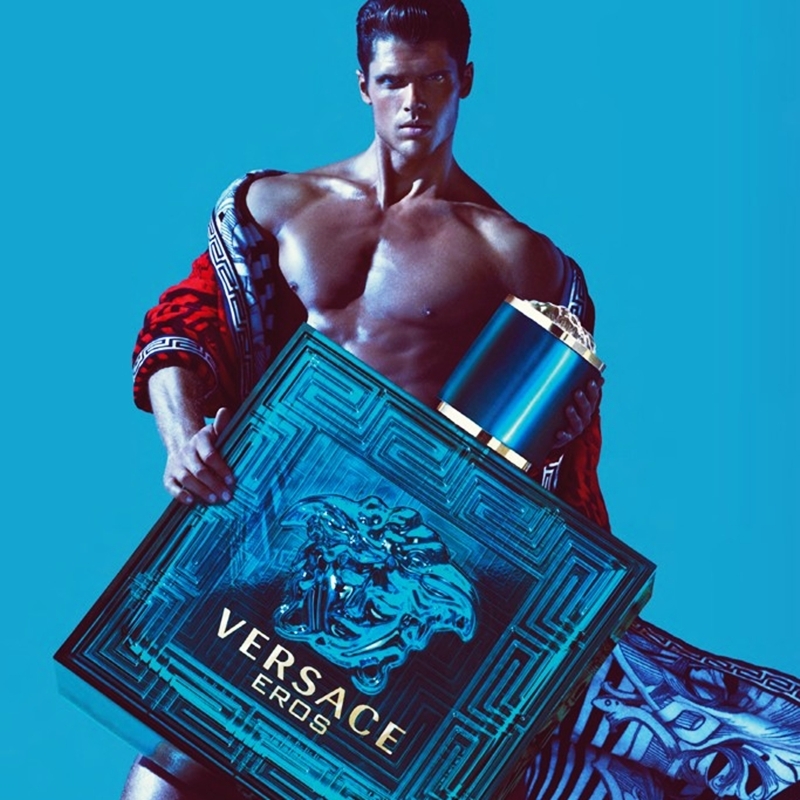 On the surface Eros appears to have everything you would want in a Versace fragrance – tacky bottle (it’s positively wonderful in its tackiness), ridiculous, over-the-top advertising (see here) and a Tanorexic muscly adonis fronting the whole thing – but as we all know in the world of fragrance, appearances can be deceiving. Eros takes its name from Greek mythology, specifically the Greek God of Love. Created by perfumer Aurélien Guichard (Bond No 9 Chinatown and all of the new Robert Piguet fragrances and re-issues) Eros is described by Donatella Versace as being for “a man who is own master and who defends his own ideas and goals. He is a hero.” We know exactly what Donatella’s idea of a hero looks like but what does he smell like?